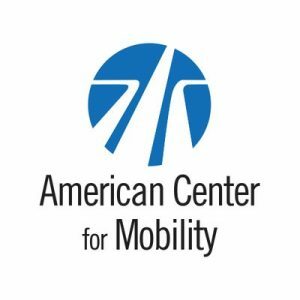 The American Center for Mobility (ACM) in conjunction with the Michigan Alliance for Greater Mobility Advancement (MAGMA) released a groundbreaking Mobility Industry Skills Survey on April 1, 2019. The survey aims to better understand the perspectives of industry experts on addressing current and future occupational skill deficiencies and will identify key competencies for the rapidly evolving mobility workforce. Survey responses will inform the creation of new talent development initiatives for both ACM and MAGMA. Since its inception in 2009, MAGMA has convened mobility stakeholders from across sectors to inform training needed for rapid shifts in the automotive and mobility sector. Initially focusing on hybrid and electric vehicle design and manufacturing, in 2016 MAGMA broadened its charge to include connected and autonomous vehicles, embedded software systems, cybersecurity, and other emerging technologies. MAGMA has managed over $4.3 million to support training in these technologies and relies on industry input to inform its training and program offerings. MAGMA surveyed industry leaders in 2016 and 2017 to determine their top skill and training needs, which resulted in the development of the short course catalog available at www.miautomobility.org. The 2019 Mobility Industry Skills Survey will further build on that 2017 research, both in reach and scope. The new research seeks to identify more specific skills needed in a variety of mobility-related occupations, such as those in design and testing, information technology (IT), cybersecurity, quality control, production and manufacturing, and intelligent transportation systems (ITS). The ACM/MAGMA research is focused on middle-skill, middle-wage occupations that may benefit from postsecondary training or a US Department of Labor registered apprenticeship but not exclusively a bachelor’s degree for job attainment. Middle-skill, middle-wage jobs create high value for U.S. based mobility companies and provide decent wages as well as a pathway to increasing lifetime career value and skills for many workers. Analysis of middle-skill, middle-wage jobs included is based on occupations that are persistently hard to fill, industry labor productivity, and occupations critical to current and emerging mobility industry needs. In addition to the survey, ACM will be coordinating industry interviews in collaboration with their Academic Consortium members (several of which also serve on MAGMA’s governing Board) seeking qualitative research, including in-depth interviews with key mobility industry stakeholders, to identify current and future CAV workforce skill sets. The survey will be open from April 1 to May 29, 2019, and will provide incentives to 100 randomly selected participants.